Vytek Laser Cutting, Marking, and Engraving EquipmentAs a leading US-based manufacturer of industrial laser systems, Vytek has been providing solutions for customers worldwide for more than 25 years. The Vytek line represents the most complete in the industry, covering more applications and materials than any other manufacturer. We focus on understanding our customers’ needs, and we design and build durable and affordable systems that can cut, engrave, weld, ablate and mark a wide variety of materials. 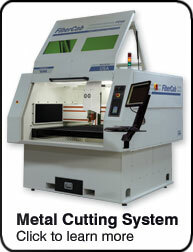 All Vytek laser systems are built to exacting standards at our Fitchburg, Massachusetts, manufacturing facility. They come with easy-to-use software as well as training and support--providing customers with unrivaled performance and years of profitable operation. 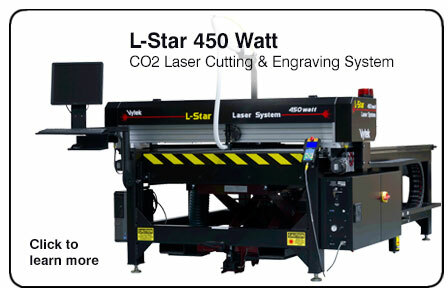 Lasers and Applications Vytek lasers are used for a wide variety of applications and industries that require cutting, engraving, and marking. 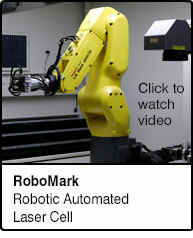 Automatic Robotic Laser Cell that can be configured to mark, weld, and cut. Click the image lower-right to watch a video. Vytek Laser manufactures laser cutting, engraving, and marking equipment and software for a wide variety of markets and applications. Since 1989, Vytek Laser has been developing and advancing a wide range of laser based technologies from our state-of-the-art engineering and manufacturing facilities in Fitchburg, Massachusetts. Vytek Laser has been the choice for companies and industries worldwide, and Vytek Laser systems are designed, built and supported in the USA.